Here at Heartland Mutual we do our best to stay ahead of the game. Back in 2016, we purchased our first drone and our former inspector Glenn Cole became our first certified Drone Pilot! Glenn has since moved on to other endeavors, leaving his position to be filled by Sarah Wilderman. 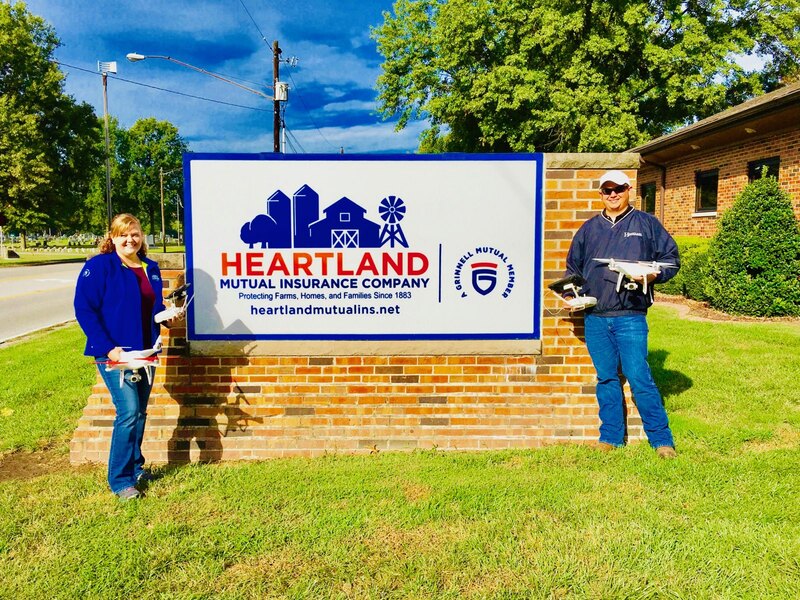 Sarah went from being an Underwriter here at Heartland to replacing Glenn in Inspections and as our new Pilot. We have recently been able to purchase a second drone for our Eastern Inspector, Dylan Sill, and he has received his UAS Pilot’s license as well! These drones are an asset to our company in so many ways. The quality and versatility of the photos that can be taken has helped our Underwriters, Inspectors and Adjusters do their jobs more efficiently. Our Adjusters and Inspectors no longer need to climb up on roofs or over fences in most cases. They can simply stand on the ground and safely fly the drone around the property. This has cut our field inspection times down by about 20 min per inspection! On the claim side, they have allowed our adjusters to see parts of damaged structures from a safe distance with the same precision or even better! You may see Sarah or Dylan out flying one of these days, so be sure to stop and say hello! Heartland is highlighted in NAMIC’s* [IN]surance magazine! /wp-content/uploads/2017/08/HeartlandRoundTransparent.png 0 0 Heartland Mutual /wp-content/uploads/2017/08/HeartlandRoundTransparent.png Heartland Mutual2018-06-19 12:56:102018-08-06 11:21:55Heartland is highlighted in NAMIC's* [IN]surance magazine!